The gap between the rich and the poor with regard to learning outcomes in basic education is real and huge. It is quite easy to find data that convincingly show such gap. 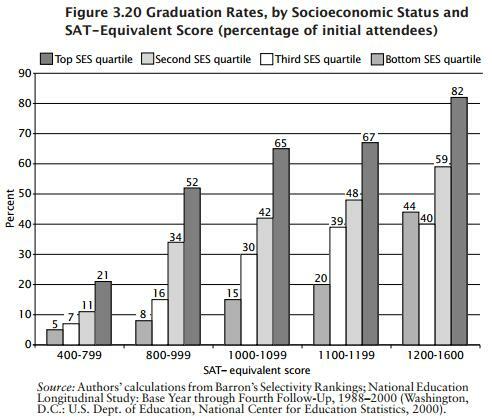 Take for instance the SAT scores divided across socio-economic status. In a scale of 400-1600 points, disadvantaged children average 544, while students from wealthy families average 1328. Of course, these are averages. Among poor children, there are high scores as well. What is equally disconcerting is that graduation rates among the best students coming from poor families are likewise problematic. 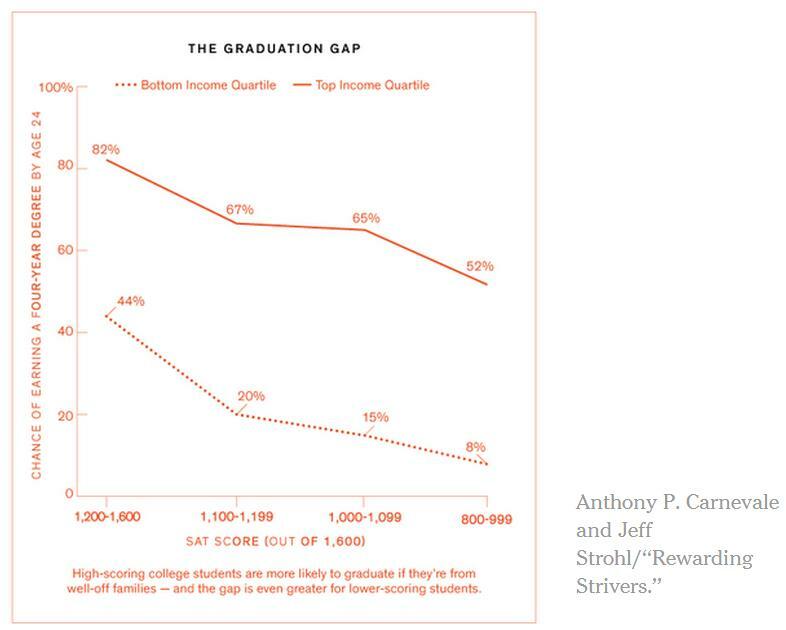 Above figure copied from Highlights from "Rewarding Strivers"
There are children from poor families in the US who score in the 1200-1600 range. In fact, it is not difficult to find someone who grew up poor yet managed to succeed in college. 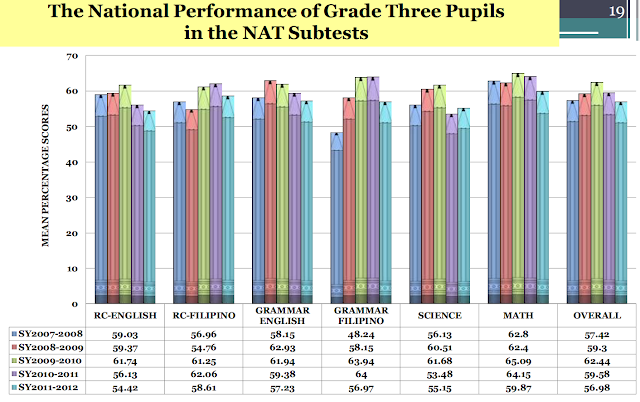 I am one example from the Philippines, who grew up poor, but managed to score very high in the GRE Chemistry exam. Unfortunately, isolated instances or anecdotes do not help us see the big picture. This is where statistics can assist us in arriving at a correct assessment of the situation. Not doing so would simply not allow us what could be done and what should be done. 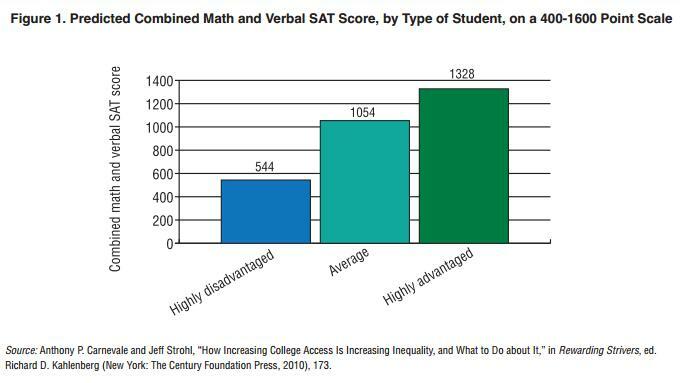 It is easy to explain why students with low SAT scores are not thriving in college. One can point to lack of ability. However, the fact that poor students who have the ability are as equally disadvantaged shows how far reaching the effects of poverty are on education. Not having a sense of belonging is difficult. What this basically means is that with just a few mistakes, a low score in one test, a low score in one paper, a low grade in one course, a student can receive a loud confirmation that says, "Yes, you do not belong here." That alone can push a poor student to give up. 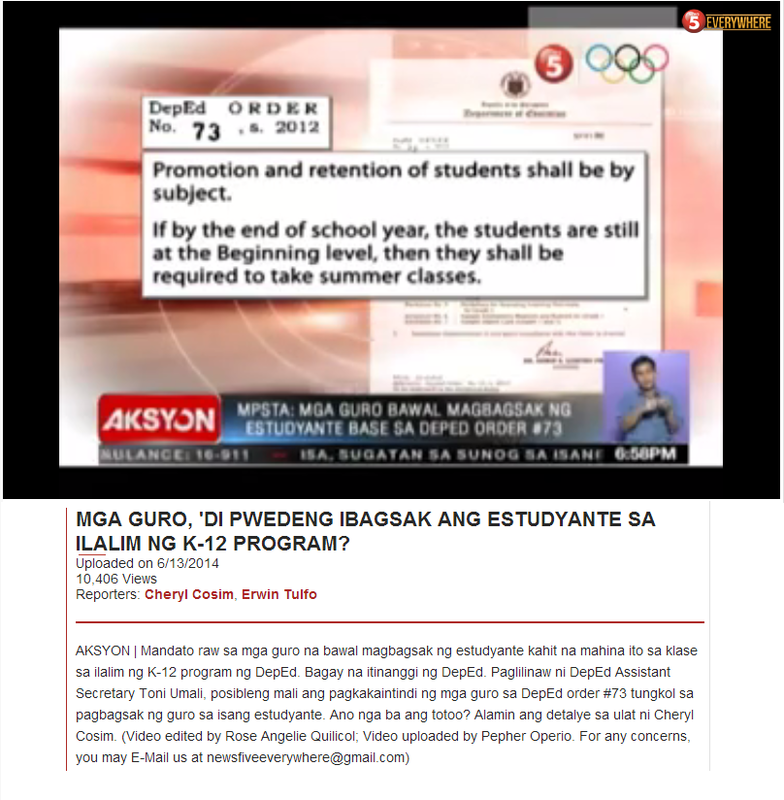 Giving scholarships to poor but deserving students is obviously inadequate. School environments must change if gaps in higher education due to poverty are to be eradicated.